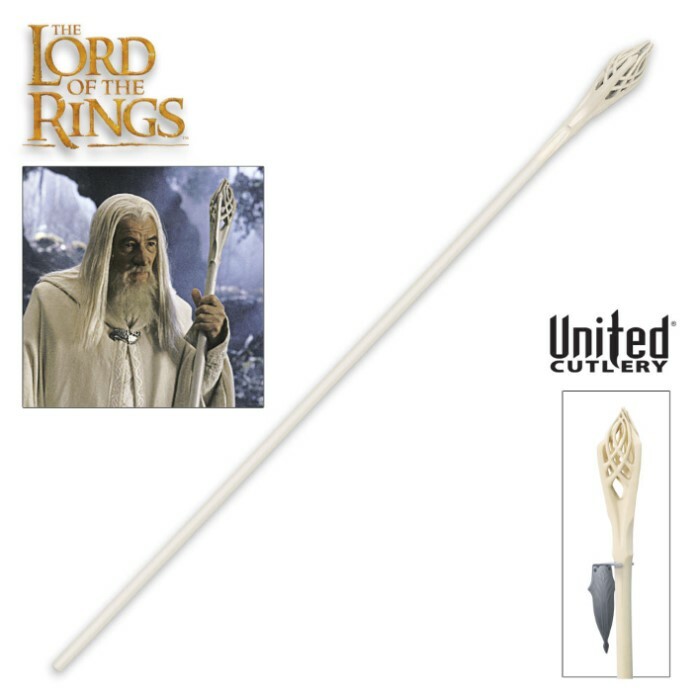 Officially licensed replica from the Lord of The Rings film series. This highly detailed replica from The Lord of The Rings was constructed to exactly match the actual filming prop in glorious detail. It was crafted using the highest quality materials with meticulous attention to detail. The extended shaft if crafted of wood and hand painted. 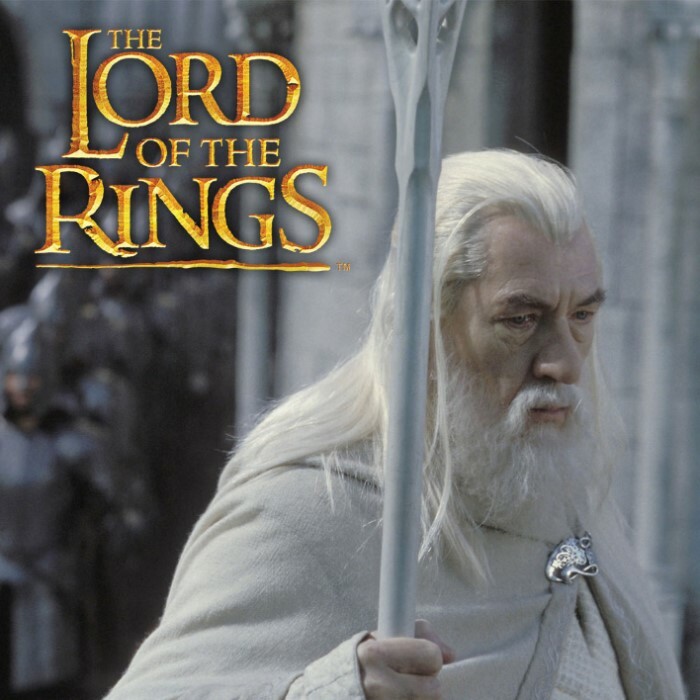 Like all officially licensed LOTR collectibles, the staff of Gandalf the White sword comes with a certificate of authenticity.